When companies launch review cycles for more than a few people in the organization, it's likely that some employees will complete their reviews well in advance of the rest of the organization. Managers might want to finalize their packets prior to the closing of the review for the entire company. 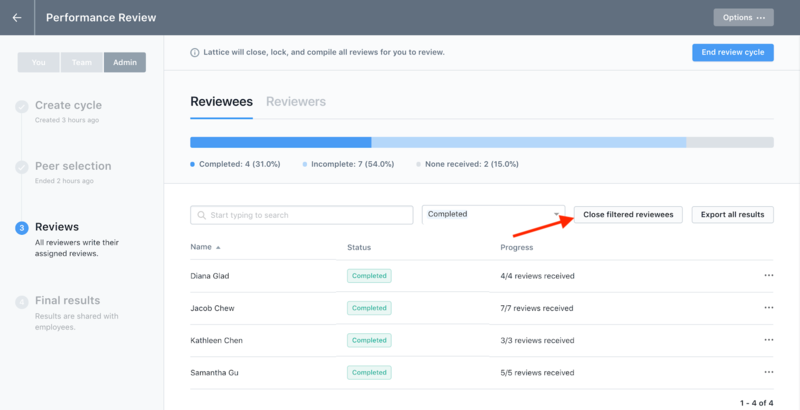 Once you have completed the above steps, you'll see that some employees have a new status of "Completed and Closed." 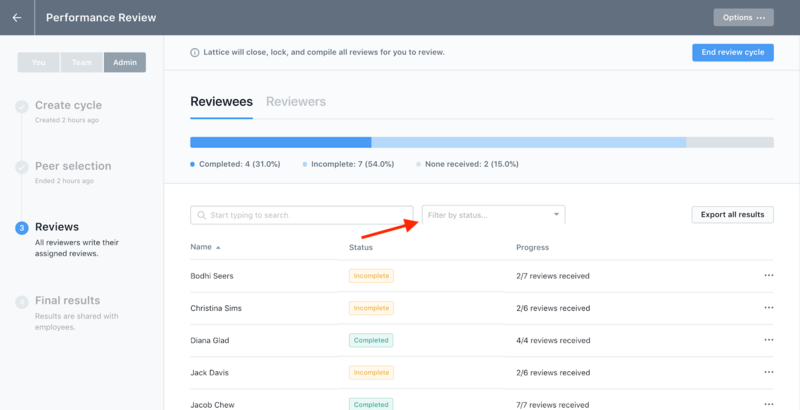 If you go to Final Results, you'll see the new status of "Receiving reviews." Once the reviewee has been closed, their manager will be prompted to share their review packet with them. To read more about the flow once the review has ended, click here.